Comfortable and practical, a used Honda Jazz is the ideal supermini for around-town driving. Its compact dimensions mean nipping in and out of traffic or parking in tight spaces is easy, while the wide windows offer excellent all-round visibility. Throw in a soupçon of Honda’s elegant styling and you have a vehicle that is hard to beat in urban environments. Despite its neat exterior, the Jazz has been designed to provide maximum interior space: its tall body offers plenty of headroom and the large boot can effortlessly accommodate everyday luggage. With five trim levels to select from, you’ll find an array of features to keep everyone safe and comfy too, from stability control and anti-lock brakes to MP3 connectivity and air conditioning. Modern drivers expect city cars to be economical, and choosing a used Honda Jazz will more than deliver in the efficiency stakes. Average fuel consumption reaches as high as 56.5mpg in third generation models, meaning you won’t find yourself at the pumps too often. 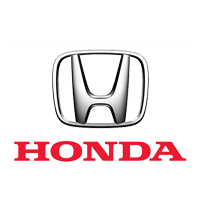 For further information about the used Jazz models available at Drift Bridge Honda, browse through our listings below. Alternatively, contact the teams at our dealerships in Gatwick and Redhill to arrange a test drive.